Christine Bacon, a graduate student at Niagara University, has been awarded an honorable mention designation by the nation’s top professional museum association, the American Alliance of Museums. Bacon’s paper, A Thousand Invisible Cords, was part of the AAM’s Education Future Fiction Challenge and included in an application for the Ford W. Bell Fellowship with the AAM’s Center for the Future of Museums. A resident of Williamsville, Bacon is studying toward a master’s degree in interdisciplinary studies at NU. She is focusing on the disciplines of history, museum studies, education, writing, tourism, economic development, architecture, historic preservation, and urban planning, among others. A Thousand Invisible Cords is a fictional short story set in Western New York in the year 2040. It envisions a lifelong public education program grounded in constructivist and experiential learning theories, rather than the behaviorist models that dominated K-12 public schools in previous decades. Bacon credited her Niagara University professors, Dr. Mustafa Gokcek, director of the MAIS program and associate professor of history, Dr. Shannon Risk, associate professor of history and director of the public history minor, and Marian Granfield, director of the art history with museum studies program, for guiding her studies. 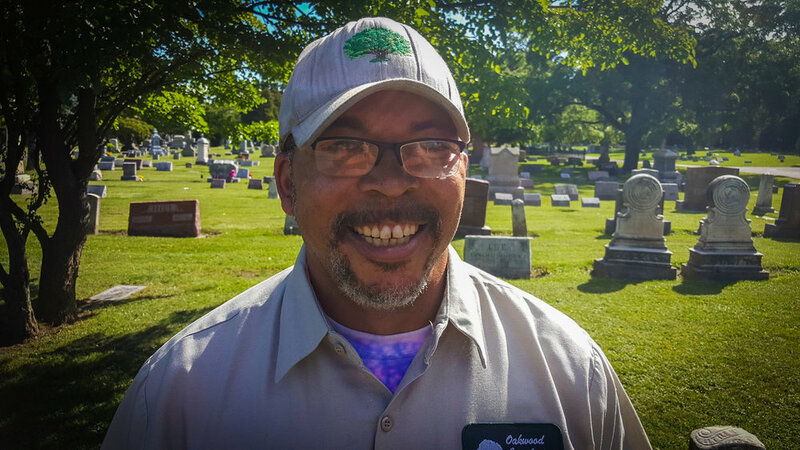 Shane has been a long time employee of Oakwood Cemetery. Shane loves to get out amongst the stones with the weed whacker and trim grounds to perfection.